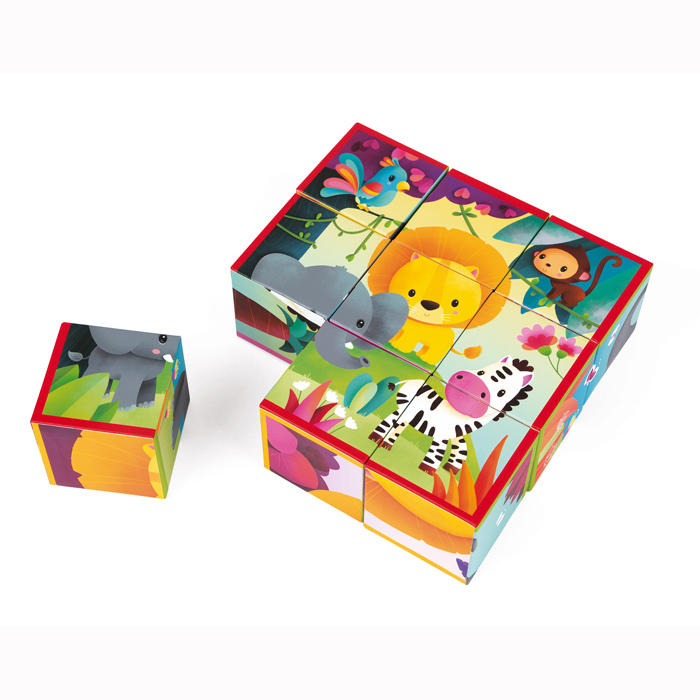 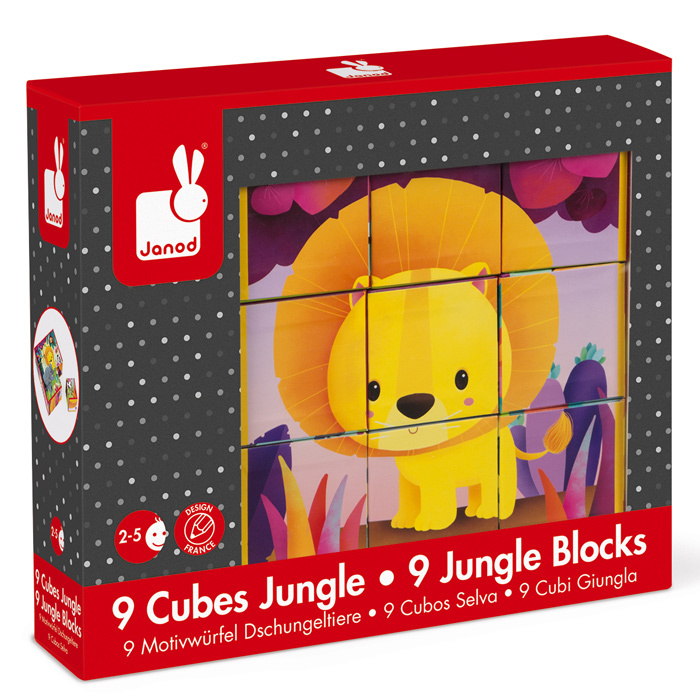 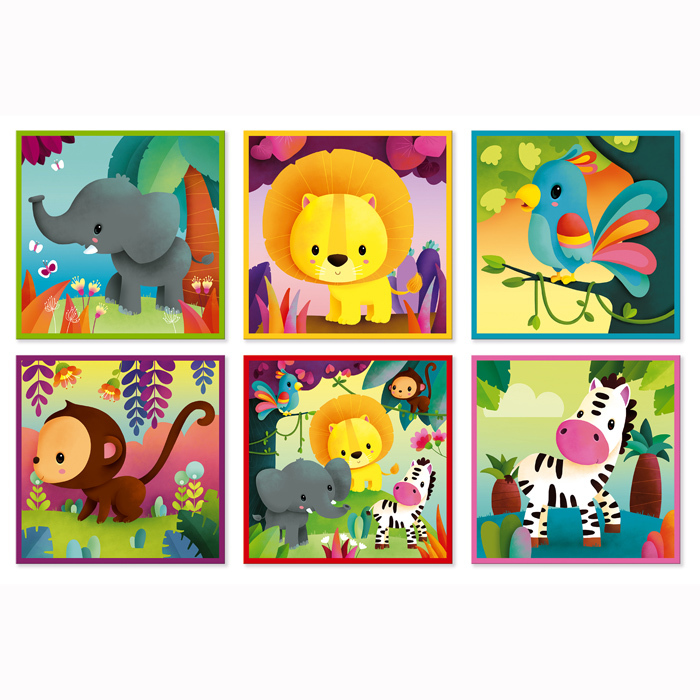 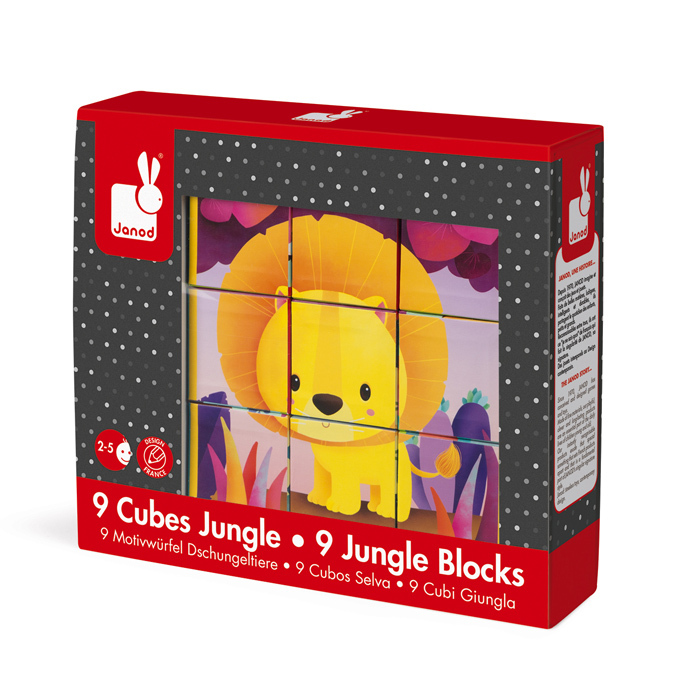 A fantastic entry point to introduce the littlies to more complex puzzles, the Janod Kubkid Jungle Animals have colour coded borders to help them along and depict five favourite jungle animals. 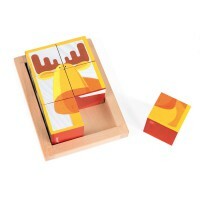 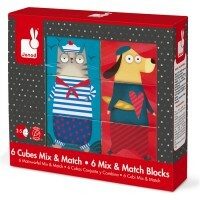 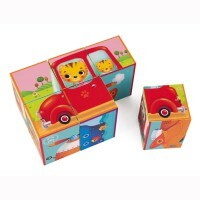 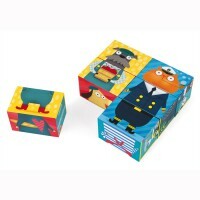 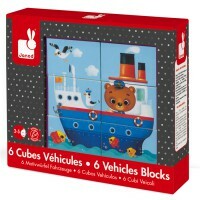 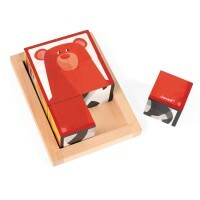 9 blocks made from sturdy card are presented in a window face box and are a perfect size for little hands. 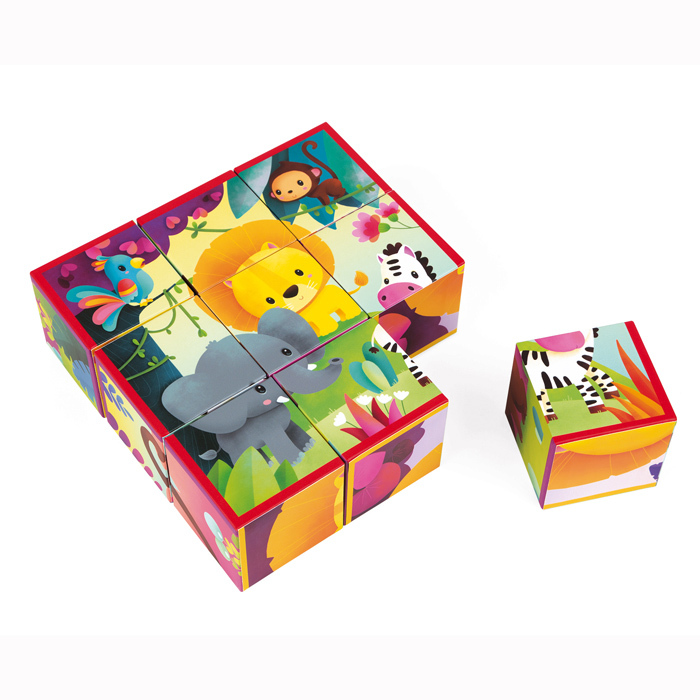 The enchanting jungle animals are ready to put together or just to have fun stacking them!